The Upbeat Dad! : Sponge Bob! 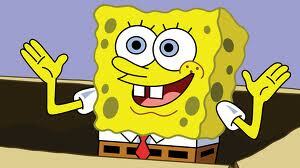 Many of you are familiar with the cartoon character on Nickelodeon, Sponge Bob Square Pants. His show is a hit with kids and adults alike. Just say the words, "Who lives in a pineapple under the sea?" And no doubt your kids will respond, "Sponge Bob Square Pants!" In our households most of us have sponges in the kitchen and bathroom. Why is this? Because we use them to absorb water and other liquids. No matter the liquid, sponge can absorb it. Our children are very much like these sponges. Right now my son is 2 1/2 months old. Would you believe that at this point he can be "programmed" to learn any language in the world - English, Spanish, French, Yiddish, Swahili, Arabic, Russian, Mandarin and the list goes on. Scientists have proven that 90% of brain development occurs in the first 3 years of life. 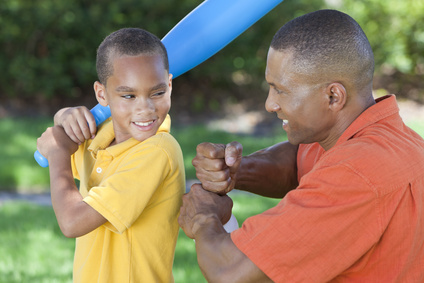 It is during these formative years that our children's personalities are developed. During this time they also learn their primary language. And how do they learn? By imitating Sponge Bob. They soak up so much from their environment. 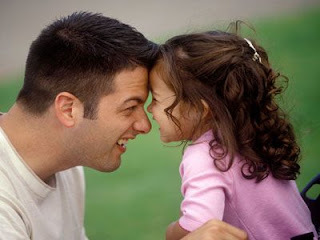 Isn't it interesting that our children learn languages by just being around others speaking. And imitating what they hear. Yet when teenagers and adults learn foreign languages in a structured environment, it seems so much harder. For instance, my wife's first language is French. I asked her to teach it to me but after a while I kinda gave up - just comfortable enough to know the simple basic words like bonjour (good day) and je t'aime (I love you). But should she speak it to our son, he'll have absolutely no problem learning it, along with the very complex rules. So the question of the day is - what are your children soaking up when they're around you? What positive seeds do you sow into their lives each day? As a child in school I was taught the simple proverb, "Children live what they learn." I encourage you to help ensure your children are exposed to the things most beneficial for them - especially those of you who have babies. Just like it's easier to bend a tree when it's young, it's easier to "program" our children from the early stages. So when the question is asked "Who's soaking up all the good things in your household?" you can answer with your own version of "Sponge Bob Square Pants." Enjoy the day. And always be "upbeat" and excited about your kids.